Waddell isn’t a city. It isn’t even a town. It’s an unincorporated area that runs through several cities, including Surprise and Lake Pleasant. However, it has several features that distinguish it, such as the New Waddell Dam and the Wat Promkunaram Buddhist Temple. 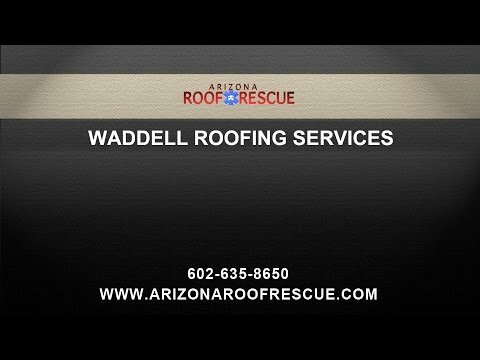 Arizona Roof Rescue offers you the expert Waddell roofing services you need to keep your home healthy and ensure its longevity. Whether you need roof repair or a whole new roof, we can help you. Arizona Roof Rescue has been in the roofing business for years, and we have built a reputation for high quality workmanship and professional service. A roofer from our team can walk you through your roofing options and help you make the right choice for your home. Our team can install shingle roofs, repair and install tile roofs, metal roofs and even foam or rolled roofs. Each have different advantages, and our team can explain them in detail to help you make the right choice. We can also help you maintain your current roof. Our team can perform routine maintenance and roof repair on all types of roofs. If you have a leak, we can be there at any time of the day. We are open 24 hours a day, seven days a week for emergency repairs. No matter what roofing services you need, you can expect consistency in the work performed and the service offered. Every roofer on our team is NATE certified and has received extensive training. You can trust that the work will be performed to the highest quality so that your roof will stay strong and last for many years. 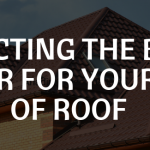 For professional roofers in Waddell who are licensed, bonded and qualified to take on your roof repair or re-roofing project, come to Arizona Roof Rescue. We can repair the roof on your commercial or residential property, ensuring that it remains protected for a long time to come. When you need professional roofing experts in Waddell to take care of your roofing installation, there is no one better to trust than the top rated roofers at Arizona Roof Rescue. With five star reviews on Angie’s List and Home Advisor, our roofing contractors are trusted among our clients all across the Valley. At Arizona Roof Rescue, we provide quality tile and shingle roofing services for residents and business owners in Waddell. We can repair, replace, and install tile and shingle roofing for your home or business. A+ rated with the BBB, you can trust our roofing contractors in Waddell to get the job done right! Contact us today to learn about our Waddell roofing services or to schedule an appointment with a roofer for maintenance, repair or consultation for a new roof. We are ready to help you get the strong, healthy roof your home needs. Headquartered On The Waddell Glendale Boarder! Affordable roofing repair contractors at Arizona Roof Rescue servicing the Waddell area for homes and businesses.